This cute and unique design is perfect for a cat lover (especially who owned a black cat) with Christmas theme. 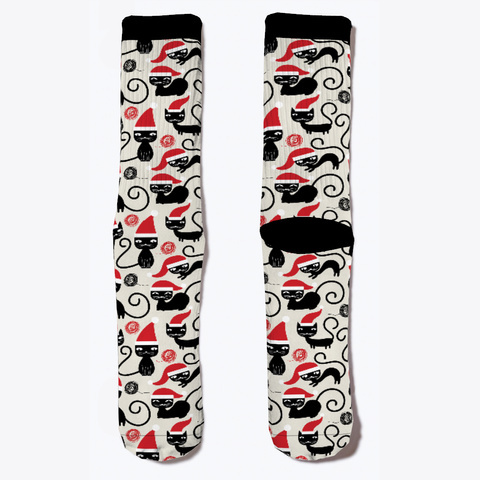 You'll look great in this seamless black cat with Santa hat pattern unisex sock. It's also a funny and original Christmas gift for your family or cat lovers friends.